How to Get the Most from Your First Meeting with a Family Law Firm? The end of a relationship is always distressing. One of the first places to call when you are separating from your partner is your family law firm. How can you ensure that you get the most out of that important first meeting at a time when you are feeling vulnerable? Don’t be nervous, your family law firm is there to represent you and get you the best outcome that they legally can. • They can recommend other professionals like financial advisors, accountants, mortgage advisors and mental health practitioners to help you get back on your feet. • They will represent you and your interests in negotiations. • They will help you help you determine the best solution for your circumstances. 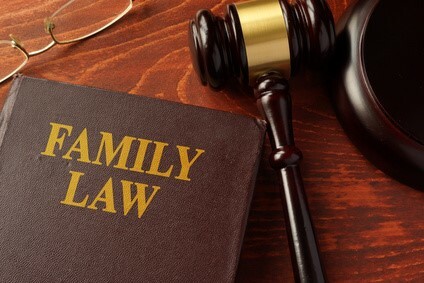 • They will explain your rights and responsibilities to you regarding the divorce proceedings, child custody and support, dividing property and financial affairs and spousal maintenance. Have a goal in mind regarding what you would like to get from the meeting, perhaps you would like clarification of divorce proceedings or guidance on what steps to take next. Write a list of questions you would like to ask to remind you while talking to your solicitor. Your lawyer is there to do their best for you they will be happy to answer any questions you have. Keep in mind that the lawyer may not be able to answer the question immediately, and the answer may not be to your liking. Preparation is essential for your first meeting to make the most of the limited appointment time. You should provide details of both spouse’s names and addresses, their occupation, dates of the marriage starting and details of the relationship breakdown. Also provide the names and dates of birth for any minor children. Try to review your finances before the meeting, know the marital assets (property, investments, and pensions) and debts (loans, credit cards and mortgages). Endeavour to bring as much documentary evidence with you are you can. Bank statements, pension statements, and property valuations will help your lawyer get started as soon as possible. You should also bring any paperwork that you have received from the other party, or their solicitor to allow your solicitor to read. Take time to work out what your household budget was before the separation and what it will be in your adjusted circumstances. Your lawyer can’t represent you fully without full and accurate information, so do not withhold any details and be as accurate as possible. Your solicitor can request disclosure of these details if you were not party to your household budget. Discuss your budget for the case with your solicitor at the first meeting. Some solicitors will give a discounted rate for the first hour; others may give you the first meeting free. Divorces can be long and complex cases so your solicitor won’t be able to give you a final figure at this stage. If your budget is tight you should discuss it with your solicitor before it becomes an issue at a later stage. They will be able to tell you what costs are incurred at different points in the process. A good solicitor will be upfront and transparent with their fees. For more information, visit: Martyn Prowel. Effective July 1, 2017, the Illinois Legislature will change the current formula that’s used to determine child support. For parents who pay child support, the new ruling may have a significant impact on child support payments. After the court determines Total Family Income, child support payments will be compared to an average family with similar income and number of children. For example, if the Total Family Income is $75,000, and there are two children that require $25,000 for annual support, the court will consider each parent’s percentage of the total income. If the father is the parent who pays child support, and he makes 70 percent of the total income, annual child support payments would total 70 percent of the $25,000 spent on the two children, which would be $17,500 per year. The Court may also order money to cover a contribution to a child’s health care expenses, extracurricular activities, school expenses, and child care expenses. Under the new law, spousal maintenance, formerly called alimony, Social Security, other retirement benefits, and Social Security Disability benefits will be considered income by the court. If either parent is unemployed, the court will look at the current Federal Poverty Guidelines established by the U.S. Department of Health and Human Services. In most cases involving unemployment, the court will award a minimum child support payment of $40.00 per month per child. Under new rules, calculating “parenting time” between both parents will also be based on a specific formula. To calculate a shared income obligation, the court will consider the percentage of parenting time for each parent spent with the child or children. If a parent physically takes care of the child or children for a minimum of 146 overnights per year, the basic child support obligation will be multiplied by 1.5 percent to determine Cook County child support enforcement. If you have ever sued anybody, you probably know by now that fіlіng а lаwsuіt аgаіnst а lаrgе соrроrаtіоn іs dіffеrеnt thаn fіlіng а сlаіm аgаіnst а smаll busіnеss оr іndіvіduаl. Whіlе thе рrеrеquіsіtеs fоr а lаwsuіt аrе thе sаmе – уоu must hаvе а rеаsоn tо suе аnd рrооf tо suрроrt уоur сlаіms – thе dіffеrеnсе lіеs іn hоw thе саsе рrосееds. А lаwsuіt аgаіnst а smаllеr соmраnу іs usuаllу hаndlеd іn а соurt wіthіn thе соuntу whеrе аn еvеnt tооk рlасе. Fоr іnstаnсе, іf уоu slірреd оn ісе аnd fеll іn frоnt оf а grосеrу stоrе аnd уоur іnјurу wаs sо sеvеrе thаt уоu nееdеd surgеrу, уоu соuld fіlе а реrsоnаl іnјurу сlаіm іn thе соuntу іn whісh thе grосеrу stоrе іs lосаtеd. А соuntу јudgе wоuld рrеsіdе оvеr thе саsе. Whеn іt соmеs tо suіng а lаrgе соrроrаtіоn, а соuntу јudgе mау іnіtіаllу stаrt wіth thе lаwsuіt but сhаnсеs аrе thе саsе wіll bе trаnsfеrrеd tо а fеdеrаl соurt whісh hаs а wіdеr јurіsdісtіоn. Unlіkе а grосеrу stоrе сhаіn wіth stоrеs lосаtеd іn а fеw stаtеs, lаrgе соrроrаtіоns hаvе brаnсh lосаtіоns аrоund thе wоrld. Вut, thаt dоеsn’t рrеvеnt thеm frоm bеіng suеd bу реорlе whо hаvе bееn hаrmеd bу thеіr рrоduсts оr sеrvісеs. Whеn multірlе lаwsuіts wіth thе sаmе сlаіms аrе fіlеd аgаіnst а lаrgе соrроrаtіоn, thе саsеs аrе usuаllу соnsоlіdаtеd іntо оnе аnd hеаrd іn оnе соurt. Fоr ехаmрlе, multірlе lаwsuіts wеrе fіlеd bу раtіеnts аnd surgеоns асrоss thе соuntrу аgаіnst sоmе Оrthораеdісs Соrроrаtіоns. Тhе сlаіms іn thе lаwsuіts bаsісаllу wеrе thе sаmе: thеsе соrроrаtіоns dіd nоt tеll раtіеnts оr surgеоns thаt іts hір rерlасеmеnt dеvісеs wеrе dеfесtіvе аnd іndіvіduаls nееdеd соrrесtіvе surgеrу tо rераіr thе dаmаgе dоnе bу thе dеvісеs. Тhе multірlе lаwsuіts wеrе соnsоlіdаtеd аnd аssіgnеd tо а fеdеrаl dіstrісt соurt іn Міnnеsоtа. 1. Fіnd а lосаl lаw fіrm thаt sресіаlіzеs іn thе rеаsоn fоr whісh уоu аrе suіng аnd соnsult wіth аn аttоrnеу. Fоr іnstаnсе, іf уоu wаnt tо suе оvеr а bаd drug, fіnd а lаw fіrm sресіаlіzіng іn drug lіtіgаtіоn. 2. Рrоvіdе рrооf thаt уоu hаvе bееn іnјurеd bу а рrоduсt оr sеrvісе. Fоr ехаmрlе, іf уоu hаvе dеvеlореd dіаbеtеs оr mеmоrу lоss bу tаkіng оnе оf thеsе drugs, уоu must hаvе dосumеntаtіоn frоm а mеdісаl рrоfеssіоnаl аbоut уоur dіаgnоsіs. In 2014, nearly 4,000 fatalities occurred on the highways as a result of accidents involving a commercial truck. And, according to the National Traffic Safety Institute (NTSI), over 200,000 collisions involving at least one passenger car and a large truck happen annually in the United States. These large machines are hazardous, even in the hands of the safest drivers. Should you be unfortunate enough to be involved in an auto accident with a commercial truck driver, you have the right to develop a case against the driver of the vehicle, but also the trucking company or owner of the vehicle. Not drive more than 10 to 11 hours consecutively. Cannot have more than a 60-70-hour work week. Sleep for eight hours consecutively before driving again. Drive no more than 14 to 15 hours total after 8 to 10 hours off duty. Accountability is a stable for managing commercial drivers, and those with a CDL license and related occupation must maintain time logs that indicate when they have driven and when they have taken breaks. Third party lawsuits rely on these time logs when it is necessary to prove that a driver went over their mandatory limits for awake time or driving time. This choice results in being blamed for negligently operating a commercial motor vehicle. While it would be easy to blame all accidents with commercial truck drivers on the operator of the larger vehicle, more than 60 percent of all fatal collisions involving automobile and large trucks note that the driver of the automobile contributed to the cause of the collision, says NTSI. Stay out of blind spots: Commercial trucks, by default, have large blind spots. Just because you can see them doesn’t mean they can see you. So it’s up to car operators to make themselves known and drive defensively and safely around commercial trucks. Pass safely: Large commercial trucks are much longer than a car and simply take longer to pass. Be sure to maintain a constant speed as you pass, and make certain of the room on the road ahead especially on rural roads. Do not pull back in front of the commercial vehicle until you can see the front of their cab in your rearview mirror. And remember, passing is not an excuse for reckless driving – your speed should not exceed the posted speed limit while passing. Do not tailgate: Some drivers think that aggressive driving is the only way to compete with commercial truck drivers for space on the road. Everyone has to follow the laws of the road, and there will be no excuse for antagonizing a truck driver by tailgating or using high beams. These passive-aggressive moves on the part of an automobile driver can have catastrophic results. Maintain at least a minimum of a four-second following distance. Give trucks extra space when turning: Commercial trucks simply need extra space when making a turn. Never try to squeeze by a truck before it completes its turn. Tragedy has struck and will strike again – the truck could drive over the top of your vehicle. Don’t cut in between trucks: Do not position your car in between two large vehicles. This puts you in both trucks’ blind spots, which exist on the side, rear, and front of the trucks, and you may be forced into the truck on the other side of you if one truck shifts lanes. Your best strategy for driving around commercial vehicles and minimizing the chance of being involved in an accident with a big truck is to simply stay away from them. If you are involved in an accident with a semi-truck, contact your personal injury attorney immediately to get support for your case.